Adam Smith - Economist and philosopher,1723-1790. Also, see full text of The Wealth of Nations and The Theory of Moral Sentiments. Albert Schweitzer Page, The - Page about Dr. Albert Schweitzer, the humanitarian, theologian, missionary, organist, and medical doctor. Contains reviews of books by and about Dr. Schweitzer and a comprehensive listing of pointers to related sites. American Philisophical Association (APA) - The main professional organization for philosophers in the United States. Founded in 1900, its mission is to promote the exchange of ideas among philosophers, to encourage creative and scholarly activity in philosophy, to facilitate the professional work and teaching of philosophers, and to represent philosophy as a discipline. American Philosophical Quarterley - Published by University of Illinois Press. Applied Ethics Resources on WWW - Links to information regarding various ethicals issues. Aristotle - Entry and extensive links in the Catholic Encyclopedia. Also see backgrounder in Stanford Encyclopedia of Philosophy and works of Aristotle at Project Gutenberg. Bertrand Russell Archives - Scholarly study of Bertrand Russell (1872-1970), British philosopher, logician, essayist, and renowned peace advocate. British Journal for the Philosophy of Science - Published by Oxford University Press. Descartes' Meditations - Hypertext edition. Texts used include the original Latin edition of 1641, the Duc de Luynes French translation of 1647, and the John Veitch English translation of 1901. Discourse on the Method of Rightly Conducting the Reason, and Seeking Truth in the Sciences by Rene Descartes - Online via Project Gutenberg. 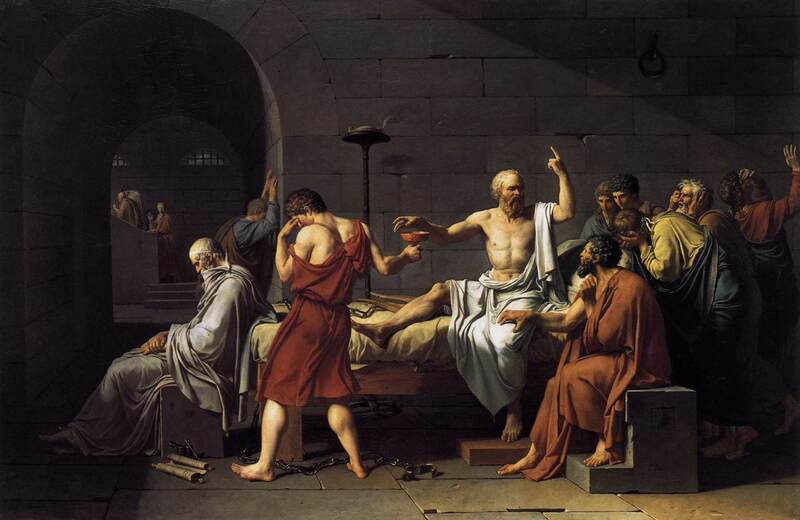 Episteme Links - Philosophy resources on the Internet. Provided by Glasgow University's Philosophy Society. Ereignis - Information on the German philosopher Martin Heidegger (1889-1976). Ethics Web - Canadian window on ethics resources. Examing Ethics - An ethics podcast produced by The Janet Prindle Institute for Ethics at DePauw University. Existentialism Is a Humanism (Jean-Paul Sartre, 1946) - "Existentialism is not atheist in the sense that it would exhaust itself in demonstrations of the non-existence of God. It declares, rather, that even if God existed that would make no difference from its point of view. Not that we believe God does exist, but we think that the real problem is not that of His existence; what man needs is to find himself again and to understand that nothing can save him from himself, not even a valid proof of the existence of God. In this sense existentialism is optimistic. It is a doctrine of action, and it is only by self-deception, by confining their own despair with ours that Christians can describe us as without hope." Florida Philosophical Review - The journal of the Florida Philosophical Association, an anonymously refereed, electronic journal published twice a year by the University of Central Florida Department of Philosophy. Friedrich Nietzsche Society (FNS) - Promoting the study of the life, work and influence of Friedrich Nietzsche. The Society's activities are organised around its annual conference and its journal, the Journal of Nietzsche Studies, which is published twice yearly. H-Utopia - Devoted to discussion of utopianism in all its forms, from literary expression to policy analysis to architectural criticism to activism with particular focus on the forms, contents, and influence of utopian/dystopian thinking. Hegel - Hegel's application of the dialectic to the concept of conflict of cultures stimulated historical analysis and, in the political arena, made him a hero to those working for a unified Germany. He was a major influence on subsequent idealist thinkers and on such philosophers as Kierkegaard and Sartre; perhaps his most far-reaching effect was his influence on Karl Marx, who substituted materialism for idealism in his formulation of dialectical materialism. Herbert Marcuse (Wikipedia entry) - Prominent German-American philosopher and sociologist of Jewish descent, and a member of the Frankfurt School. Also see the Herbert Marcuse Archive and Herbert Marcuse Official Home Page. Hippias - Peer-reviewed search engine for philosophy resources. Illuminations: The Critical Theory Website - Firmly based in Frankfurt School thought, this site maintains a collection of articles, excerpts, and chapters from many contemporary writers of and about Critical Theory. Internet Encyclopedia of Philosophy - Articles in the Internet Encyclopedia of Philosophy are currently from three sources (1) original contributions by specialized philosophers around the internet, (2) adaptations of material written by the editors for classroom purposes, and (3) adaptations from public domain sources (typically from two or more sources for per article). Islamic Philosophy Online - This site contains hundreds of full-length books and articles on Islamic philosophy, ranging from the classical texts in the canon of Islamic philosophy to modern works of Muslim philosophy. Jean-Paul Sartre (Stanford Encyclopedia of Philosophy) - Sartre (1905-1980) is arguably the best known philosopher of the twentieth century. His indefatigable pursuit of philosophical reflection, literary creativity and, in the second half of his life, active political commitment gained him worldwide renown. He is commonly considered the father of Existentialist philosophy, whose writings set the tone for intellectual life in the decade immediately following the Second World War. Among the many ironies that permeate his life, not the least is the immense popularity of his scandalous public lecture Existentialism and Humanism," delivered to an enthusiastic Parisian crowd October 28, 1945. Though taken as a quasi manifesto for the Existentialist movement, the transcript of this lecture was the only publication that Sartre openly regretted seeing in print. And yet it continues to be the major introduction to his philosophy for the general public. One of the reasons both for its popularity and for his discomfort is the clarity with which it exhibits the major tenets of existentialist thought while revealing Sartre's attempt to broaden its social application in response to his Communist and Catholic critics. Reclaiming Sartre - A review of Ian Birchall's Sartre Against Stalinism. Sartre - Stanford Encyclopedia of Philosophy. Sartre - Articles, archives, and forum. World According to Sartre, The - Essay by Roger Kimball, a review of The War Diaries of Jean-Paul Sartre: November 1939-March 1940. Journal for the History of Analytical Philosophy - Publishes historical research that interacts with the ongoing concerns of analytic philosophy and with the history of other twentieth century philosophical traditions. Journal of Ethics and Social Philosophy - University of Southern California online peer-reviewed journal of moral, political and legal philosophy. Kierkegaard on the Internet - Devoted to the Danish philosopher Søren Kierkegaard (1813-1855). Lucretius - A Roman poet and the author of the philosophical epic De Rerum Natura (On the Nature of the Universe), a comprehensive exposition of the Epicurean world-view. Also see Stanford Encyclopedia of Philosophy. Marxists Internet Archive - Works by Marxist writers, Marxist history, encyclopedia of Marxism. Marx/Engels Internet Library - Works of Karl Marx and Fredrick Engels online. Marx and Philosophy Society - Encourage scholarly engagement with, and creative development of, the philosophical and foundational aspects of Marx's work. The society welcomes contributions from any philosophical or political position. Marxists Internet Archive - Provides the most complete database of Marxism available, filling the void left by the demise of Progress Publishers of the USSR. MetaReligion - Major religions and beliefs systems: Christianism, Buddhism, occultism, gnosticism, theosophy, magick, esotericism, the paranormal, mysticism, Wicca, paganism, philosophy and science. Foucault News - Activity relating to the work of French thinker Michel Foucault. Internet Encyclopedia of Philosophy: Michel Foucault - Foucault's work is transdisciplinary in nature, ranging across the concerns of the disciplines of history, sociology, psychology, and philosophy. Michel Foucault - This site provides a variety of resources relating to the work of the famous French philosopher who lived from 1926 to 1984. Michel Foucault Audio Archive Home - From Media Resources Center, UC Berkeley Library. Stanford Encyclopedia of Philosophy - Michel Foucault (1926-1984) was a French historian and philosopher, associated with the structuralist and post-structuralist movements. He has had strong influence not only (or even primarily) in philosophy but also in a wide range of humanistic and social scientific disciplines. Mind and Body: Rene Descartes to William James - By Robert Wozniak. Of God and His Creatures by St. Thomas Aquinas - An Annotated Translation (With some Abridgement) of the Summa Contra Gentiles of Saint Thos Aquinas by Joseph Rickaby, S.J., M.A. Lond: B.Sc. Oxon., Author of "Aquinas Ethicus" etc. etc. (London: Burns and Oates, 1905). Paideia Project - Read over 900 papers presented at the Twentieth World Congress of Philosophy held in August 1998. Review the official Congress program and flip through a photo album of the Congress week. Peter Suber -Suber's teaching and research interests lie chiefly in the history of modern European philosophy, science, and literature, roughly from Montaigne to Nietzsche; Kant, Hegel, and the German romantic generation; the history of western skepticism from Sextus Empiricus to the 20th century; metaphilosophy; the logical and epistemological problems of self-reference; the metatheory of first-order logic; the ethics of liberty, paternalism, consent, and coercion; criminal law and tort law, especially the question when we hold people responsible for their actions and when we excuse them; and the philosophy of law. Philosophers Guide by Bjorn Christensson - Bios of 25 philosophers from Aquinas to Wittgenstein. Philosophers' Imprint - A refereed series of original papers in philosophy, edited by philosophy faculty at the University of Michigan, with the advice of an international Board of Editors, and published on the World Wide Web by the University of Michigan Digital Library. Philosophical Gourmet Report - A ranking of graduate programs in philosophy in the English-speaking world. Philosophy and Marxism - This archive contains a collection of over 120 thinkers, from 1600-2000, in an historical overview of philosophy. Also included is the Hegel archive, the philosophical precursor of Marxist theory. Philosophy Now - Magazine appearing every 2 months providing articles on all aspects of Western philosophy, as well as book reviews, letters, news, cartoons, and the occasional short story. Philosophy of Liberation - The collective name for a philosophical movement and method of doing philosophy that emerged at first in Argentina during the late sixties, but that went on to spread throughout Latin American during the early seventies. Philosophy Talk - A weekly, one-hour radio series produced by Ben Manilla. Also read the Philosophy Talk: The Blog. Philosophy News Service - News and events about philosophy from around the world as well as original essays. PhilPapers - A comprehensive index and bibliography of philosophy maintained by the community of philosophers. Using advanced trawling techniques and large scale crowdsourcing, it monitors all sources of research content in philosophy, including journals, books, open access archives, and personal pages maintained by academics. Pragmatism Cybary - Introduction to pragmatism, America's native philosophy. Pragmatists such as Charles Peirce, William James, John Dewey, and George Mead wrote about nature, science, and technology; individuality and community; and moral, religious, and political issues. Principia Cybernetica Project - The Project aims to develop a complete philosophy or "world-view", based on the principles of evolutionary cybernetics, and supported by collaborative computer technologies. Radical Philosophy - Journal of socialist and feminist philosophy. Rousseau Association - A bilingual, international, interdisciplinary society devoted to the study of Jean-Jacques Rousseau. Extensive links and resources, including works written by Rosseau and music composed by Rousseau. Social Epistemology - Stanford Encyclopedia of Philosophy entry. Social epistemology is the study of the social dimensions of knowledge or information. Social Philosophy and Policy Center (SPCC) - Dedicated to the examination of public policy issues from a philosophical perspective. Spectrum - UK photographic printing and finishing centre. St. Thomas Aquinas - Entry and extensive links in the Catholic Encyclopedia. Stanford Encyclopedia of Philosophy - Entries refereed by members of a distinguished Editorial board. Stoic Place, The - Essays, dialogues, and charts describing the ideas and history of the Stoics. Stone, The - This New York Times blog features the writing of contemporary philosophers on issues both timely and timeless. The series moderator is Simon Critchley. He teaches philosophy at The New School for Social Research in New York. Thomistic Philosophy - Thomistic Philosophy is inspired by the philosophical methods and principles used by Thomas Aquinas (1224/5-1274), a Dominican Friar and Theologian, in his explanation of the Catholic faith. Aquinas, who is most renowned for his Five Ways of Proving the Existence of God, believed that both faith and reason discover truth, a conflict between them being impossible since they both originate in God. Believing that reason can, in principle, lead the mind to God, Aquinas defended reason's legitimacy, especially in the works of Aristotle. The philosophy of Aquinas continues to offer insights into many lingering problems in metaphysics, the philosophy of mind, and the philosophy of religion and ethics. Thus Spake Zarathustra (Friedrich Nietzsche) - Full text translated by Thomas Common. Presented by Project Gutenberg. Tractatus Logico-Philosophicus - Ludwig Wittgenstein's classic. The book is written in 526 numbered paragraphs structured as notes about notes on wide-ranging topics; much of it is about formal logic and its limits. These web pages present the entire standard English translation by C.K. Ogden next to the original German. The pages are complete with the formulas, diagrams, and tables of the original, along with the introduction by Bertrand Russell. UK Sartre Society - Promotes the study, research and discussion of the literary, philosophical, cultural and political issues arising from Sartre's work. Value of Knowledge: a Miniature Library, The - Texts from the history of philosophy tracing the development of ideas on the relation between consciousness and matter through the words of 120 philosophers over 400 years: Galilei Galileo, Francis Bacon, Rene Descartes, Thomas Hobbes, Benedicto Spinoza, John Locke, Gottfried Leibnitz, Isaac Newton, Bishop George Berkeley, Jean-Jacques Rousseau, David Hume, Immanuel Kant, Johann Fichte, Friedrich Schelling, Hegel, Lenin, Arthur Schopenhauer, Marx, Engels, Feuerbach, Auguste Comte, John Stuart Mill, Denis Diderot, Ernst Mach, Werner Heisenberg, William James, Percy Bridgman, Herbert Spencer, Carl Jung, Friedrich Nietzsche, Edmund Husserl, Ludwig Wittgenstein, Thomas Kuhn, Albert Einstein, Niels Bohr, Evad Ilyenkov, Jean Piaget, Kierkegaard, Cyril Smith, Louis Althusser, Charles Peirce, Karl Jaspers. Voice of the Shuttle: Philosophy Page - Directory of philosophy links. Wisdom Supreme - A dictionary in social sciences with entries in economics, law, philosophy, political science, sociology, and other disciplines. This webpage last updated on Saturday, June 30, 2018 4:59 PM.